Bowhunting World Reader’s Choice Award winner for best moveable sight for 10 straight years. Bowhunting World Reader's Choice Award winner for best moveable sight for 14 straight years. The silky smooth elevation arm pairs with the industry’s most accurate sight tapes to deliver unmatched performance to hunters and 3D shooters alike. Simply sight in at 20 and 60 yards to determine which of the preprinted sight tapes works on your set up and you’re ready to shoot from 20 to 80 yards in 5 yard increments. 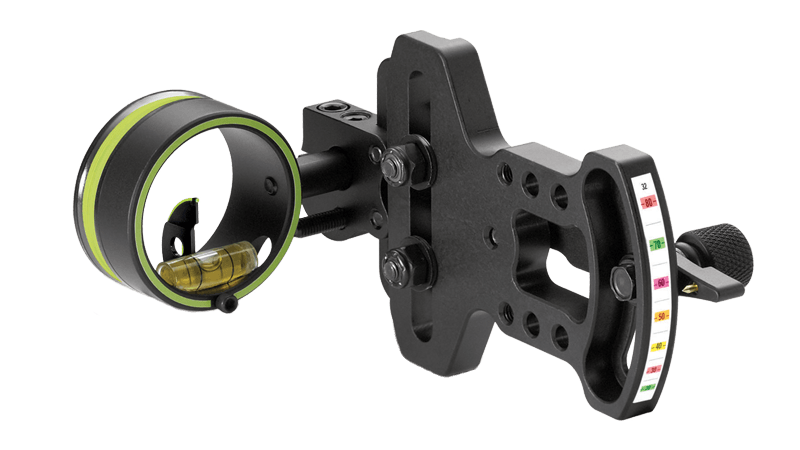 Tool free adjustments, fully protected fiber optics and rock solid construction make it the toughest, most dependable single pin adjustable sight available today.